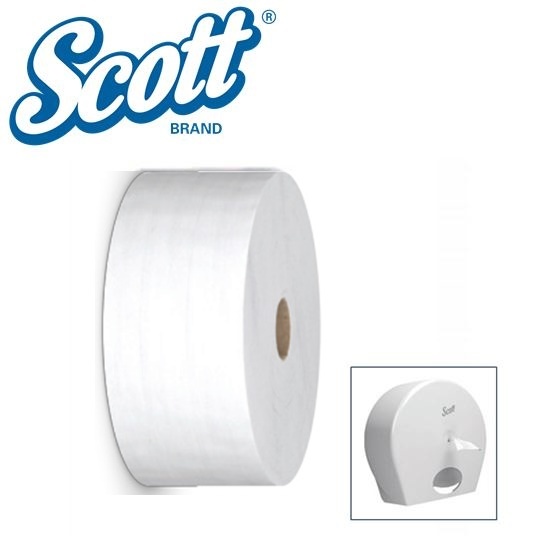 Recognising that innovation and sustainable products remain high on the agenda, Futures Supplies are delighted to bring you the new Scott Control Toilet Tissue System by Kimberly-Clark. The range offers a total washroom solution for maximum efficiency, value and washroom hygiene. High capacity 314m rolls of soft 2ply tissue which has been designed to minimise pipe blockages. The innovative durable & lockable centrefeed dispensing system helps to reduce consumption. One-wipe-clean dispenser with no dirt traps for improved hygiene. EU Flower Ecolabel and FSC accredited. Soft absorbent rolled hand towel for improved cleanliness. High capacity system uses Airflex technology to give a more compact roll, offering more hand dries per roll and less refilling. One-wipe-clean’ dispenser with no dirt traps for improved hygiene. Gentle, fragrance-free and colour-free foam soap for frequent use. High capacity 1litre cassette delivers 2500 shots, reducing waste and preventing overuse. Single Use Towels Are The Most Hygienic! 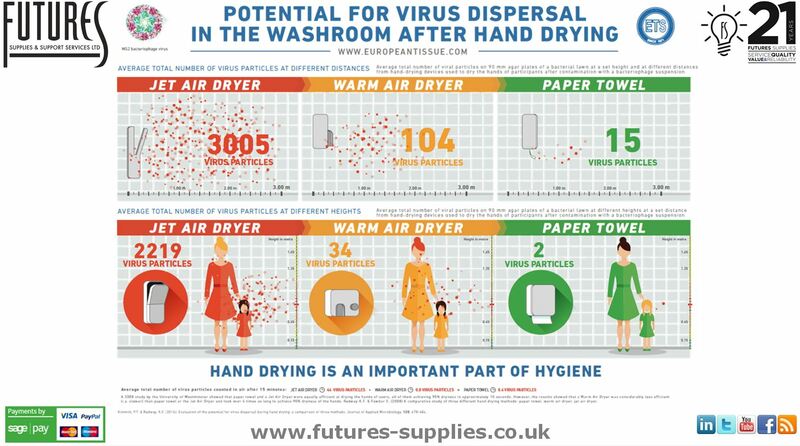 Single-use towels offer the most hygienic way to reduce the risk of the transmission of viruses when drying hands in the washroom. New independent research has found that single-use paper towels are the most effective way to dry one’s hands in the washroom and reduce the risk of the transmission of viruses. The study indicates that they help minimise the spread of viruses including ones associated with various diseases, including those causing gastro-intestinal infections such as Norovirus and Rotavirus. 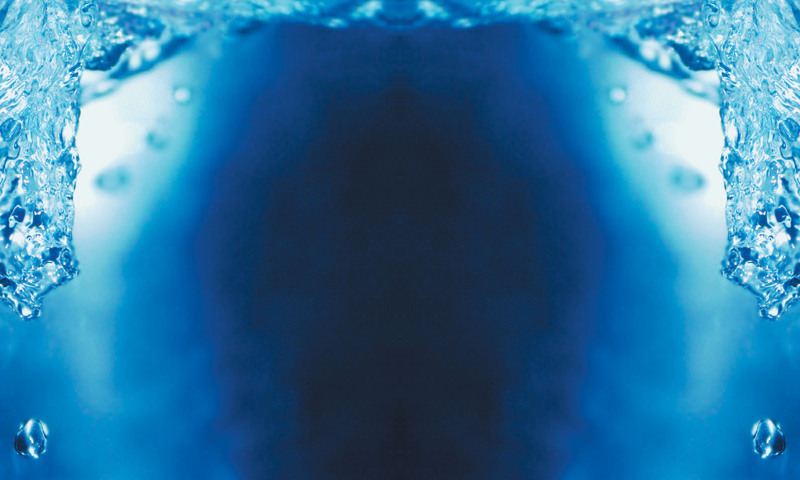 Single-use towels disperse fewer microorganisms into the environment than jet air dryers and warm air dryers and also help reduce the risk that viruses are blown into the faces of small children accompanying adults in the washroom. The findings have serious implications for washroom facility managers in settings such as hospitals and restaurants where hygiene is paramount. Constantly delivering on innovation and sustainability, Futures Supplies has recently added the Handy Pack hand towels to its range from Metsa Tissue. A plastic case with carry handles which enhance hygiene; the new Handy Packs are extremely durable and protect the contents from moisture as well as delivering on hygiene, value and sustainability. The Handy Packs produce less volume of waste than traditional cardboard cases and are completely recyclable. A lighter plastic casing, easily stackable and with ‘carry handles’, makes them a delight for cleaning staff to transport and distribute hand towels around the building. With so many advantages, the Handy Pack is a ‘win win’ product. WWF Ranks Metsa Tissue The Best! producers on their global ecological footprint, we are delighted that Metsa Tissue, our supply partner for many years, has been ranked ‘best’ in the category of public corporate responsibility reporting and environmental management systems. As part of the index, Metsa Tissue allowed WWF to scrutinise its global paper production on key environmental criteria, such as fibre sourcing from sustainably managed forests, clean production and public reporting and came out with an impressive 86% score. Futures Supplies would like to pass on big congratulations to all the team at Metsa Tissue. 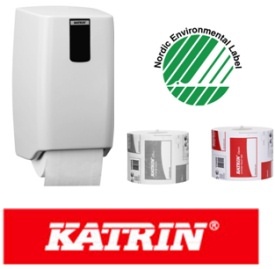 If you are constantly searching for a washroom solution that delivers on quality, value and sustainability, we believe the Katrin System Toilet Tissue System ticks all the boxes. The co-ordinated dispensers are the most reliable in the market place and control usage, delivering significant cost savings and exceptional value for money. High capacity, holding a 1600 sheet roll, the System Toilet Tissue Dispenser prevents cross contamination underneath the dispenser where germs commonly lurk because the roll is always visible. There is no searching for the roll inside the dispenser and you can see at a glance if the dispenser needs topping up, the plugs sit neatly in the core catcher. The toilet rolls carry the highly acclaimed Nordic Swan Eco Label, offering the best in class environmentally. There is no wastage, as every sheet is used, and with the dispenser holding more than the equivalent of 5 conventional toilet rolls or 6 sleeves of bulk pack storages, issues are significantly reduced. They are labour saving too!